Today ISO has members from 163 countries and 786 technical bodies to work on standards development. More than 135 people work full time for ISO’s Central Secretariat in Geneva, Switzerland. International Standards make things work. They give specifications for products, services, and systems, to ensure quality, safety, and efficiency. They are instrumental in facilitating international trade. ISO has published thousands of International Standards and related documents, covering almost every industry. 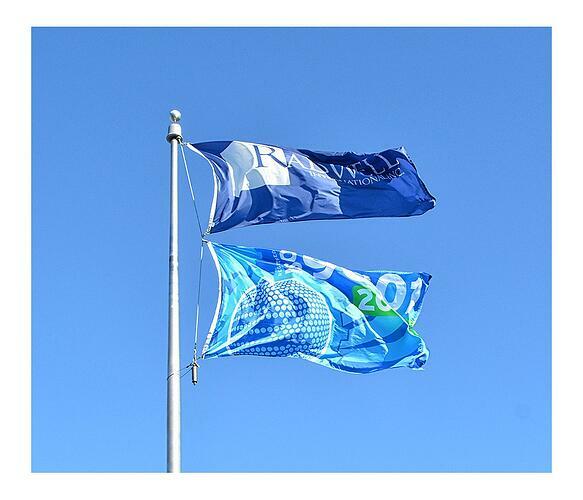 ISO International Standards impact everyone, everywhere in virtually every industry. These standards for products, services, and systems ensure quality, safety, reliability, and efficiency. They are also instrumental in facilitating international trade. For business, standards are strategic tools that reduce costs by minimizing waste and increasing productivity. They help companies to access new markets, level the playing field for developing countries and facilitate free and fair global trade. ISO standards are developed by the people that need them, through a consensus process. Experts from all over the world develop the standards that are required by their sector. This means they reflect a wealth of international experience and knowledge. 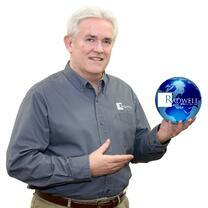 At Radwell International, Tom Foy, Corporate Training, and ISO Manager has been the leader for ISO certifications. He has worked with partners, employees and all levels of management to facilitate the process of gaining ISO certifications for Radwell. Tom is passionate about training and sales. He enjoys the process of managing, the creation of training applications, and the facilitation and delivery of effective sales and product training. We spoke with Tom recently to discuss the certification process and what ISO means for a business like Radwell International. Along with this, the senior team has to support the entire endeavor. They wholeheartedly support this at Radwell and it is necessary within any organization for this to be the case to get the certification process completed. ISO requires that you live the standard for three months, using all of your documentation and organizational standards. The final piece is to conduct audits. 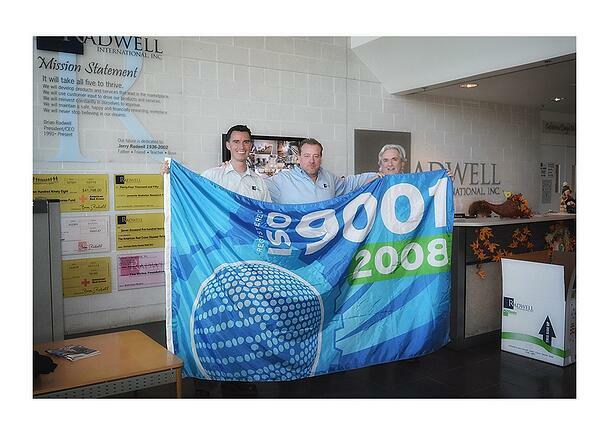 There is an internal audit completed by a team of Radwell employees based on the standards created. The next audit is conducted by an outside company. Between audits, there is an opportunity to get things straightened out as needed. The internal audit is kind of like a dress rehearsal for the external independent audit. Findings are reported to the senior team, and an organization either gets its certification or additional things are required to be improved prior to the final audit. It's a lot of coordination, and it involves a lot of support from department heads within the organization and their teams. How does an ISO certification affect employees within an organization? It affects them on several different levels. First, because Radwell is already so customer focused it heightens the awareness of that and brings it to a whole other level. When you receive this certification, you send the message to employees that anyone can contribute to continuous improvement. This is a very important message for employees to receive. It gives them a feeling of empowerment to contribute to change. Although every change won't necessarily be implemented, every proposed change will certainly be reviewed and considered. How long does the process usually take for a business/organization to become certified? Typically the process for a first certification takes around eight to nine months on average. During the first certification process, extra time can be very helpful. For subsequent certifications, the process usually takes an average of six months. For second certifications a lot of the documentation is in place and just needs to be adjusted. It is quicker to make adjustments to existing documentation rather than creating the entire body of documentation from the beginning. What are the differences between the ISO certifications (2008 v. 2015)? The certification numbers reference years when the standard kicked in. Every seven to eight years it is upgraded and they give it the number of the year it was upgraded. There were some basic differences between 2008 and 2015. It is important to note that for all certifications, the senior team is required to be solidly behind the program. 2008: Required a quality manual as well as six separate necessary documents. For 2015, they've required more specifics in certain categories. They also look at the context of the organization-what does it do, what's it's scope and what is it trying to accomplish for its customers. The planning stages are also more detailed. One of the key factors in the planning stages is PDCA, which stands for PLAN, DO, CHECK, ACT. In ISO when you get certified they want companies to be responsive and not just reactive. A responsive company plans and analyzes to fix problems. A reactive company will fix a problem but end up with other problems because they will fix a problem without enough analysis or planning beforehand. Who validates that ISO is implemented the proper way? The leads of the ISO implementation team, as well as Senior Management and Department Management, are responsible for implementation and validation. It has really helped managers within the organization pay more attention to how things work and to seek new and improved ways for processes. That is the basis of this program-to get everyone's buy in. How does Radwell International's certification impact the customer experience? Impacting the customer in a positive way is easily the most important part of an ISO Certification. For an organization like Radwell International, the certification is all about customer focus and customer quality. When you're in that position, you are constantly looking to improve your internal processes so you can improve the output which is your service and your products for your customers. Radwell has always been focused on customers, but this raises the bar. When we receive ISO certification, there are benefits for our organization but also our customers. There are many companies who are required or prefer to only do business with other ISO certified companies. It opens the door for a company to be exposed to new partners and new customers when they receive their ISO certification. It becomes a give and take situation. 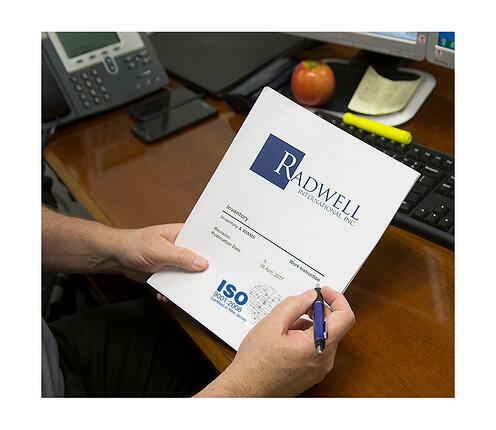 The ISO certification is now being extended to all the Radwell branches. Previously certification was only for our NJ headquarters. By working towards a multi-site certification, we'll be able to say that we are working towards operating from a consistent standard across the board and that we are incredibly focused on the quality products and services we offer to our customers.